One of the only reasons I go to the fair when it's in town in the summer is so that I can buy a candy apple. Yummmmmmmm! One of my favourite things. This year I didn't go to the fair though. So, I decided to make my own! I have two beautiful trees in my backyard that I used to think were crab-apple trees but now they produce lovely big sweet apples. I used this recipe and played around with colours a bit. 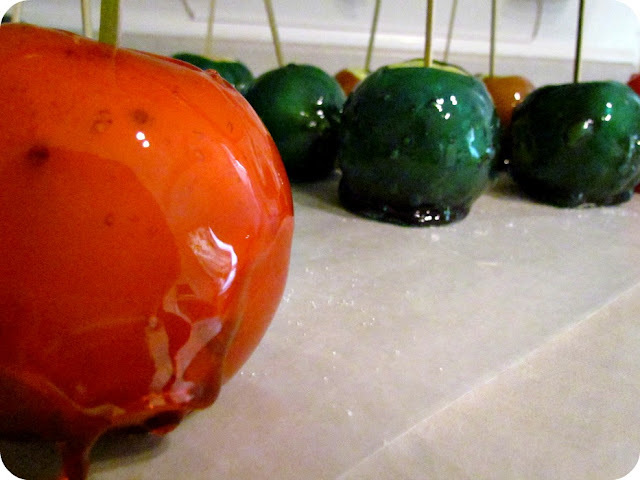 I'll bet my kids would love these--I've always preferred caramel over candied--but these are cute! These are so much more fun than the plain ole caramel apple! Cute! They came out amazing! I have apple trees can't wait till their ripe! These look so lovely! And so colourful too. I'll have to make some I think. I love that they're not just red! 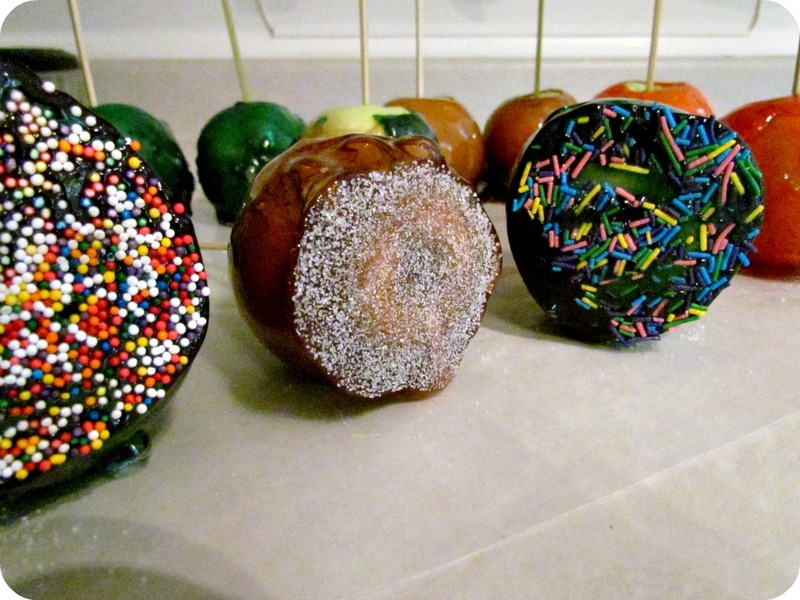 Cool, crazy candy apples. So very colorful, and temping to eat right off the screen. A nice change of pace for the plain old ones. Thanks for sharing your inspiration with Sunday’s Best – you helped make the party a success! Ooh my kids would LOVE these! !